Specially designed to remove fine airborne paint particles without restricting worker movement or visibility. 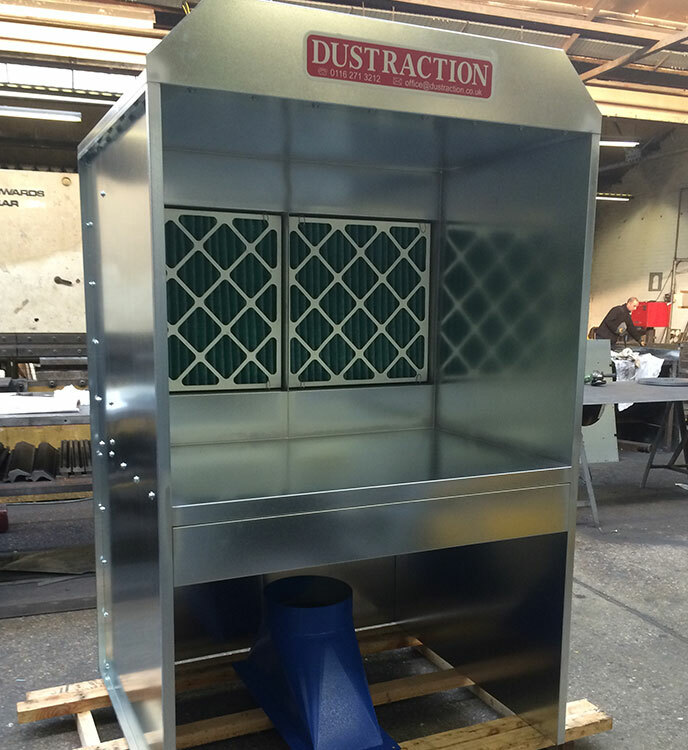 The Dustraction spray booth has a disposable paper filter across the face of the extraction chamber. The filter consists of two sheets of heavy paper with corrugations of unequal size. The sheets are attached at the corrugations and each sheet has rows of perforations, which are staggered and relative to the others. 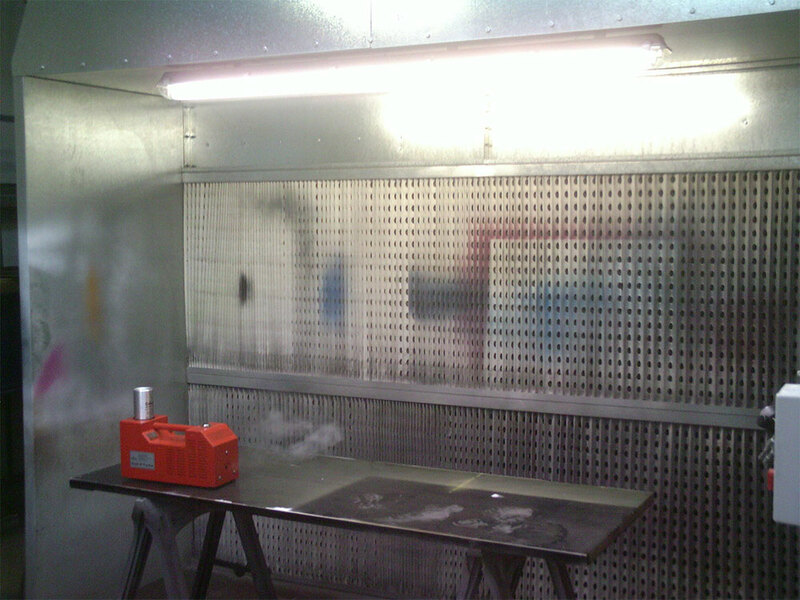 This gives the paint laden air stream a tortuous passage through the filter, the result is that the sticky paint adheres to the filter surface and reasonably clean air is discharged. For maximum efficiency, it is important that these filters are kept in perfect working condition. 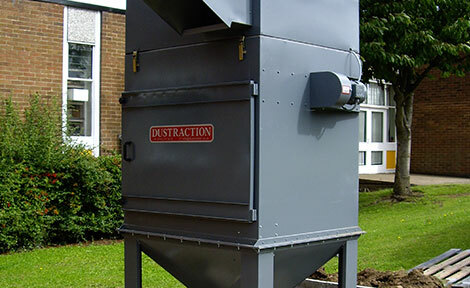 We provide innovative engineered dust and fume extraction solutions for a diverse range of industries, manufacturing facilities and educational establishments. 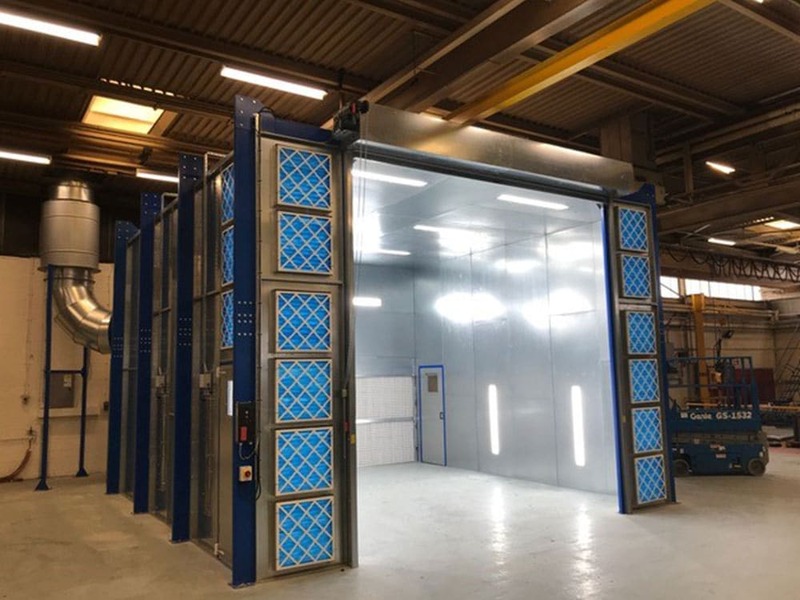 Dustraction has installed a new LCC Dustrax 15M filter unit together with new ducting as needed after a COSHH LEV re-test to ensure compliance of individual machine hoods and the installation as necessary of pressure gauges to monitor extraction performance machine by machine.